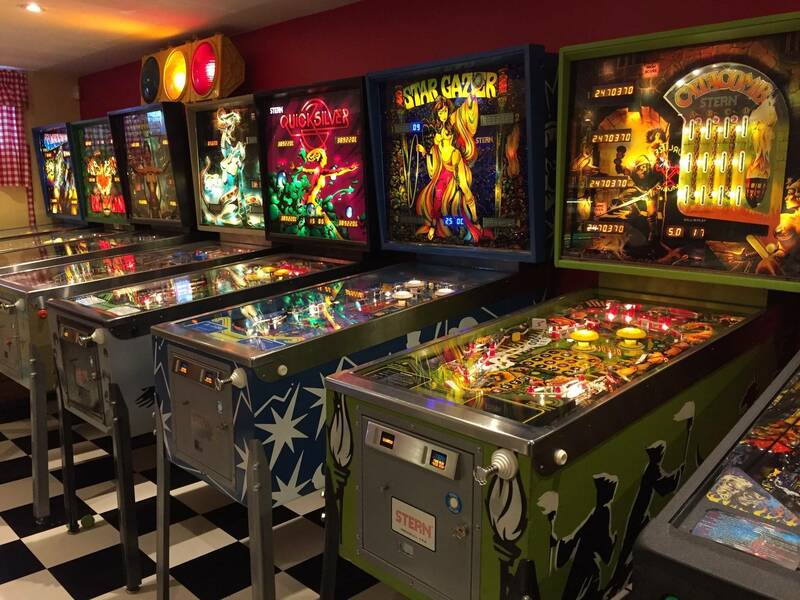 » Forum » All Pinball » 1 classic stern have to go? » 1 classic stern have to go? 1 classic stern have to go? Which one need to go? If I had those I would sell Viper or Flight 2000. Don’t break up an amazing set. You have 24 hour to convince the CEO of the house... I will give you her phone number.. goodluck! I vote none of them. Make room! Honestly, you have a super nice collection of classic sterns, and selfishly, I would want a few that I don't have. You put a lot of work into these to make them nice. Enjoy them! If one absolutely needs to go, sell Metallica. They made tons of them! You can buy another any day of the week. You can't do that with the other games. You should please sell me whichever one you’re willing to drive to my house in CT! Oh, I didn't realize you had one of those.......usually guys with 8 or more pins decreases the likelihood a SWMBO being around....LOL!! ....and yes, I have one of those SWMBO as well! I would happily buy Big Game or Catacomb. PM with price in mind if interested. Flight or Quicksilver, as you see these titles in the market with more frequency then the rest- should you decide you want to own them again. AUKraut has won the official answer for this thread but, if that wasn’t feasible, Metallica would be out the door SOOO fast if I got such an ultimatum. There are plenty of Metallicas in the sea RedK! Don’t give up a single classic! I'm having a difficult time deciding to sell Meteor. I do not envy you one bit! Quicksilver seems to be selling at a premium right now, it could be an opportunity to sell high. I don't think I could do it myself though! Yeah but Flight 2000 is fairly easy to track down and it's still not crazy expensive. I think Viper has the worst gameplay of the ones you have listed but would be much harder to ever buy another. I do not envy you one bit! On second thought, I do envy your collection, but not the decision you are trying to make. I'd dump whichever one I play the least. I voted Iron Maiden because I want one lol...but seriously, I would let go of the one that I played the least and/or that was the “least nice” of my collection. I would also weigh whether I intended to try to get it again at some point. If so, then the difficulty of the search would be a factor as well. In any case, if it ends up being Iron Maiden, let me know! If you are forced to sell one, get as much as you can for it. Viper easy all day every day not even close. Big game. Based on your descriptions, Big Game is the least restored. It's also a game you'll be able to pick up with similar quality if you miss it. Step1: ask your pinhead friends (and non-pinhead friends) who wants to babysit one. Step2: deliver and set up. you win. your friend wins. I own 27, buy have 20 here. I have good friends enjoying the other 7 games. Time/Space/Money. Not everyone has "all 3" to house the pins they want. Something always gives from time to time. I actually knew the OP had one long before this post because I searched the Pinside owners database a couple weeks back seeing who all had one when I saw one in background of another post. If you mentioned a title with... 7000+ made and something that you can find every 2-3 months, and you had NOT put in the time on it, then I would say -- "ok"
I'd remove the head from one and slide the cabinet and head under your other games. I figure you could probably do this 3 more times. Then you can switch things up by pulling one from 'storage'. Yeah I'm not overly into having games just cause they are rare but that's a personal thing. Viper is by far the worst playing Classic Stern...or Bally for that matter (and probably more). And hell, rare usually means more $$$ so it's a win win. Flight is prob my 3rd choice (I'd rather have a gamatron), Iron Maiden would go 2nd I THINK; The one I play isn't the best condition so I might not be getting the full flavor of the game. F2K comes up all the time (at least around here), so I’d sell that. The probleme is I also have 10 jukebox (5 are sore in friend house)... My first plan was to have one store in friend house, but it will be a lot easier to sell one... No way i can put one under the other game, my girlfriend will definitely see it! I play all my game regulary so playing time is almost equal. Metallica was a gift to me for my 40 birthday, and probably the one who got the most play time when i have non pinball friend at home. There’s your problem right there! Even if you have 5 at home, that’s FOUR more than you really need! Sell those extra jukes and boom! Even MORE room/$$$ for classic pins! F2K seems to be the most common. I've seen quite a few of those over the years. That said, I don't understand the attraction of Catacomb. I really don't care for the game, so that would be the one I would get rid of. F2K seems to be the most common. I've seen quite a few of those over the years. Not in the condition he has though. And he likely wouldn’t be able to get his money back out, and if he did sell it and rebuy he’d have to pour money back into it. He’d be losing on both ways. I wouldn’t recommend getting rid of any early sterns, there seems to be some appreciating going on. I’d buy your Flight 2000 if we could work out the shipping and stuff, always wanted one never had one. However, in your position I’d be hard pressed to sell any of them. Not that that helps you much, I realize. Not in the condition he has though. Incorrect. There are a lot of them that were restored. Ive seen at least 3 in the last year around my close group of pinball friends. Hell, I know people with multiple PF's and plastics still laying around. 3rd most often restored game next to Funhouse and TAF. LOL. As a comparison, around the same # of Pinsiders own Fire!. I view Fire! as a fairly easy to track down sys. 11. 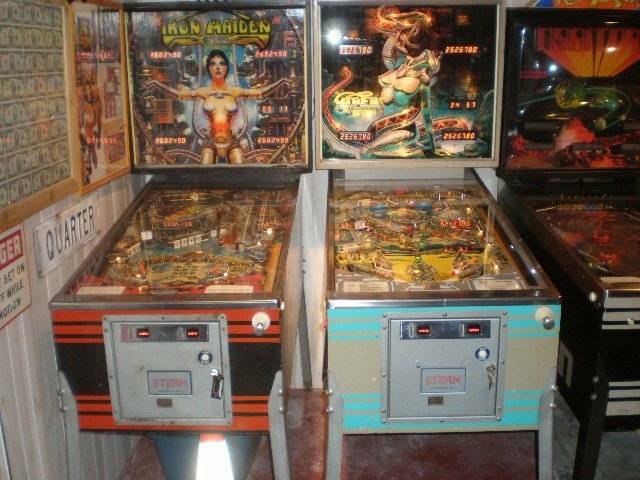 I’m looking for a playfield, see if one of them wants to part with one. Do you get to dictate the limits of your girlfriend's hobbies too? Lay down the law and say "the games are staying!" You will regret selling and resent her. Sell when you're ready. There are always alternatives and some may just not have occurred to you yet. Red, think about it, such a nice collection. That said: f2k would go. Whatever game you decide to sell, send me a pm and lets make a deal. Viper is a low production pin for a reason...SELL IT! I'd sell the wife before I gave up those games. Sweet collection. like all other classic stern... everything need to work perfectly and adjust correctly to appraciated it, and it's the case with all my pins. prefere not to sell the wife... I prefere to chase back a pin I sold then chase for a new wife... mine fit perfectly! I'm glad your friend was able to help you out. Now, if I had to choose from your list....F2K since you have the best chance of getting another one if you want it back. Otherwise, choose your least favorite to play. No sense keeping a game you don't play much just because it's super rare. Pass it along and let someone else enjoy it. What Viper lacks in game play more then makes up for it with that backglass. F2000 has nothing going for it so cut it loose. What Viper lacks in game play more then makes up for it with that backglass. It's cool but you don't play the backglass. Just hang one on the wall. I would if I could find one to do so. I've already got the playfield but that's not nearly as cool as the glass. I used to have the game for a total of about three years but grew tired of it, just miss that art. Throw some pics of all your games up, and it can be like an auction without starting an actual for sale ad or thread. Whoever comes up with the most money, picks his game and wins. F2k. That said I like Iron Maiden the least out of all these... crazy I know.